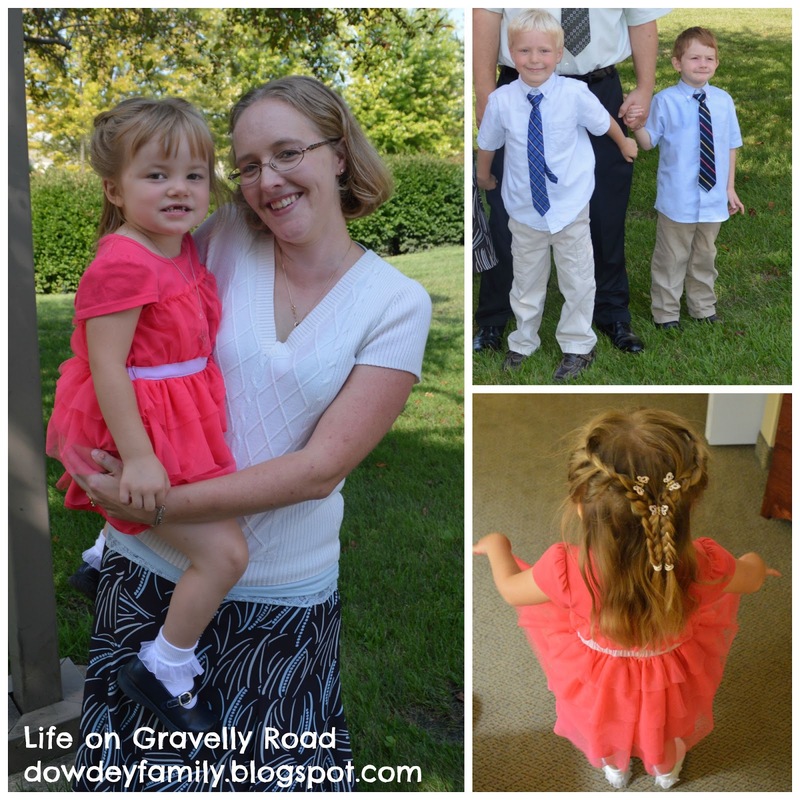 Life on the Gravelly Road: Adoption Day! 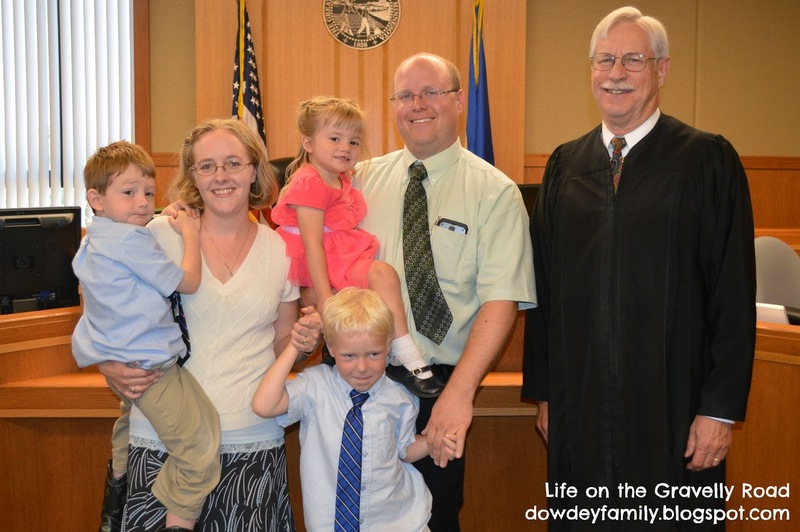 Today was our family's adoption day -- officially making us a family of five, though our new son and daughter have had a place in our hearts long before today. The court proceedings were short and simple, though I was still nervous during my short time of testimony. The kids sat pretty well and soon it was over. Yet the promises we made before court to our two new precious kids are not something we take lightly. We were blessed to have a number of family members make the trip to share our day and all went out to eat together afterwards. It was wonderful to see everyone, our family plus several people who played important roles in some tough times of our kiddos lives. It was a good day. Our daughter was excited for us all to get dressed up fancy. The boys thought their ties were cool (for a while). We stopped for ice cream on the way home and relaxed for the rest of the evening. Now the kids are tucked in their own beds after a busy day and I have a moment to reflect. The kids might not quite understand all that happened today besides the fact that they now have our last name. But today will be one we talk about with them for years to come, a big day in their story. God put our family together but it is good to know that now our family is recognized on paper too. Finalization day holds a special place in my heart. You will always remember. Many, many blessings. So so so wonderful to see your family knit together permanently now. Congratulations! Congratulations to all of you! 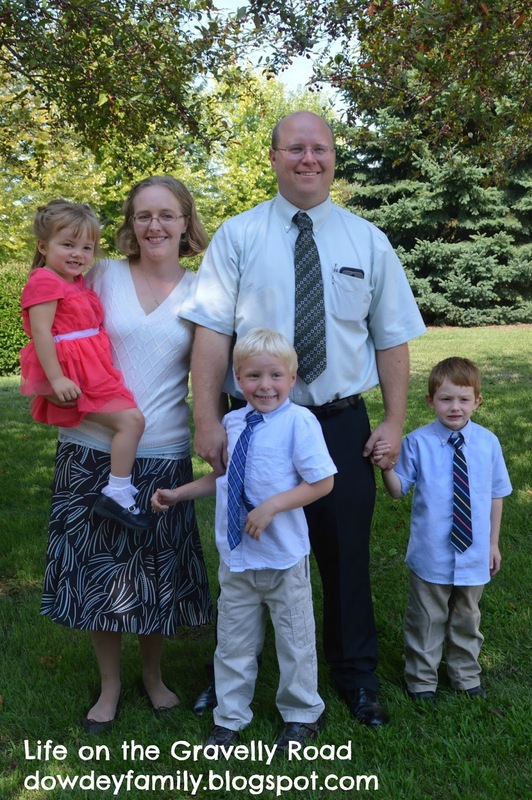 Thank you for sharing your story on the #AdoptionTalk Linkup! What a beautiful family you have. We adopted two of our kiddos through foster care, so I know so many of the emotions from that day so very well! Thank you for sharing your family with us. What a great story...what a beautiful family you have!